There are so many different variations of the saddle available to us. Depending on which discipline you are participating in, you may want to choose one saddle over another. To help you decide which saddle is best for you, I've made a list of the most popular types of saddles and which discipline they are best suited to. Just as the name suggests, the all purpose saddle is the one that is most commonly used in most disciplines. It has a deeper seat similar to a dressage saddle and has a shorter flap similar to a close contact. Most barns will have this saddle as it is suited for ground work and jump work. For that reason, this also makes a great saddle for riders in the eventing discipline that don't want to purchase two saddles. For those of you who love the difficult sport of dressage, the dressage saddle is right for you. With its deep seat and long flaps, this saddle allows you to get as close to the horse's back and to have a nice long leg to better communicate those difficult yet discrete cues to your partner. 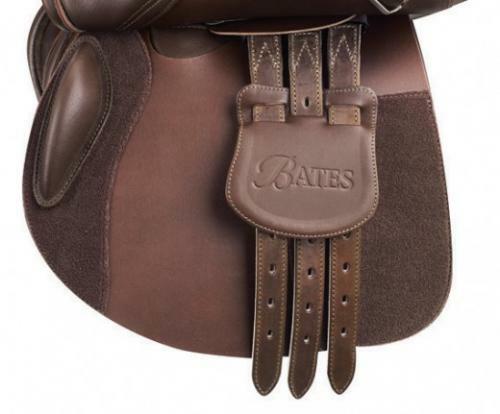 The girth billets are also longer than other saddles so that the girth's buckles won't bulge under your leg. If you enjoy the feeling of approaching an obstacle at a forward canter and holding your breath as you sore over it hoping that you won't knock the top rail, then the close contact saddle is the one for you. This saddle, also known as the jumping saddle, is normally the most lightweight of them all so that your horse isn't carrying any extra weight as he jumps. It has a more shallow seat than the others since you'll be spending most of your time out of the saddle instead of in it. The saddle flaps are shorter and more forward to allow space for your legs to rest against while you ride with your shorter stirrups. Though I don't know a whole lot about western saddles, I am sure there are different variations for the different western disciplines. What I do know is that if you enjoy trail riding, whether you ride western or english, a western saddle is worth the investment. They are designed for those who spend long hours in the saddle so they are much more comfortable than any english saddle would be. They usually also have buckles and straps so that you can carry things more easier by tying them to the saddle. Not to mention that the horn comes in handy when going up and down steep terrain for extra balance. So there you have it, the four most common saddles you'll see around a barn. I hope you have all had a wonderful week and I wish you all a great weekend. As always, thank you for reading Pure Horse Sense.